Chennai: The city woke up to light tremors following an earthquake in the Bay of Bengal measuring 4.9 on the Richter scale. 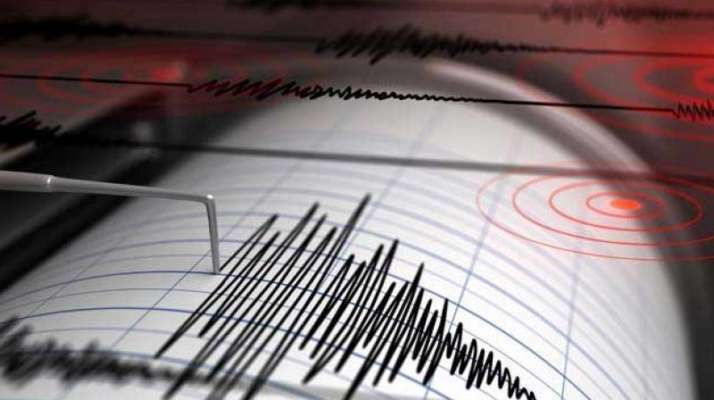 According to the United States Geological Survey, the earthquake was at a depth of 10 kilometres and was located over 600 km east-northeast off the coast of Chennai. While the USGS measured the earthquake at 4.9, the India Meteorological Department put the figure at 5.1. People took to social media to share their experience of the tremors and contacted their near and dear soon later, sources said. The dot in the Bay of Bengal in the map shows the spot where the earthquake occured. 'Earthquake of 4.9 scale did not happen with an epicentre in Chennai. It was located far away from Chennai. No harm is expected and nothing to worry. Don't believe in any rumours and do not forward any of them,' he wrote on his Facebook page. Confirming the information, deputy director general of Meteorology Dr S. Balachandran said that the tremors were also felt in Andaman and its nearing areas. 'However, there has been no tsunami warning. This is the first information, further details will be divulged as soon as we receive them,' he said. The epicentre was in the ocean and obviously there was no damage and as per initial assessments, it lasted for a few seconds, he added. 'We could definitely feel the tremors here in Alandur, vibrant tremors,' said one user on Twitter. Areas like Alandur, Kodambakkam, Thiruvanmiyur saw maximum residents reporting their experiences.